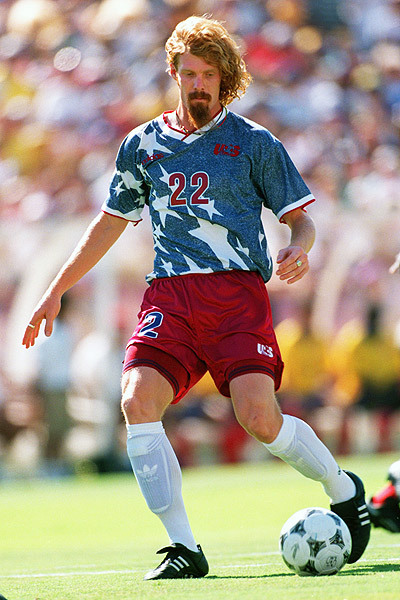 It reminded me of the much lamented Book of Football Lists ‘Fashion Disasters’ List in which Very Bad Strips were considered in order of de-merit. There was never any doubt that the winner would be the ‘Hull Tiger’ circa 92/93 season. Are they designed by living designers with a big flouncy qualification in designing garments, or do alien football Gods highjack a first year graphic design student and beam his creations into club shops in the dead of night? 1. 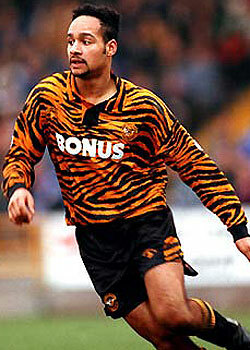 Hull’s 1992/3 ‘tiger’ kit. Inspired by car seat covers for a Ford Granada. 2. AEK Athens: in the 1998/99 season the Greek side dispensed with their yellow and black stripes in place of a monstrosity featuring a huge black doubled-headed eagle – the club’s logo – splashed across the front. Very Goth. 3. Everton’s mid 90s salmon pink. Juventus made this mistake too. FACT: pink is not a colour to wear while playing football. 4. Wales’ new millennium skin tight red. Whereas six-packed Italian demi-gods can get away with this style, John Hartson cannot. 5. Stoke City’s 1980s pin stripe ‘Ricoh.’ Was supposed to be red, but the dye used was so cheap it turned out orange: one wash and it bled to pink. 6. Norwich City’s mid 90’s yellow & green ‘broccoli and parsley sauce vomit’ design. 9. Coventry’s 1978 chocolate brown away strip with cream ‘piping.’ Winner of an internet poll for worst shirt of all time. Looked good with a mullet. 11. Bristol Rovers enjoyed five minutes of fame as they alarmed the country by decking themselves out in blinding tangerine and lemon quarters in the 1987/88 season. 12. The self-designed goalkeeper shirts of Jorge Campos. What’s the Mexican for ‘You’re looking sharp, Jorge?’ Think class six claimer’s jockey silks and you’re still nowhere near the awful reality. This entry was posted in The Book of Lists: Football and tagged grim, Hull City, Tiger. Bookmark the permalink. What staggers me is your surprise. This nonsense started with Kevin Keegan’s perm, Chris Waddle’s highlights, Beckham’s mohican, showing that left to their own devices footballers are truly victims of emperor’s new clothing. Why would they be any different as a team? The unicef shirt is designed to make the ubiquitous spray tan look like a feature wall isn’t it? I thought Newcastle’s Lemon on Lemon Marangue look last year was bad, as was Celtic’s ultra bright yellos-green hoop thing. 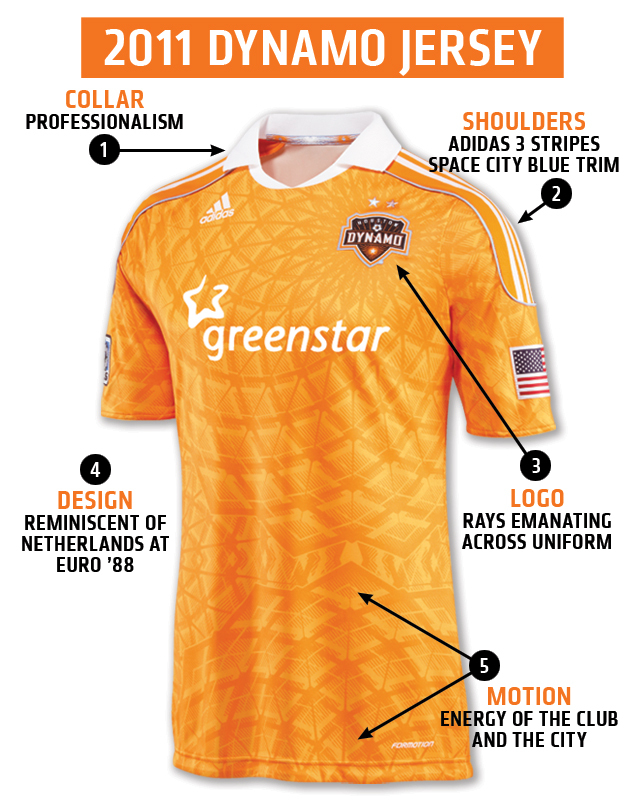 Houston dynamo’s new kit is supposed to look like some Dutch jersey but instead reminds me of the mildew-proof shower curtains we had in the dorm back in college. I’ve tried linking to the Getafe Burger King nightmare but it won’t let me.